Jagmeet Singh, Charlie Angus and Guy Caron pose for a photograph as Niki Ashton appears via satellite from Ottawa before the final federal NDP leadership debate in Vancouver on Sept. 10, 2017. NDP members will be meeting in Toronto on Sunday, Oct. 1, for the first ballot results from the party's leadership race to replace Tom Mulcair. Delegates at the party's 2016 convention voted for a leadership review in order to replace Mr. Mulcair, who led the party during the 2015 federal election when it lost 51 seats and was relegated to third party status in the House of Commons. Leadership candidates made their final pitches to the party faithful at a gathering in Hamilton on Sept. 17 and online voting began the day after. Online voting for the first round will continue until Oct. 1 at 2 p.m.
Members can vote if they joined the party before Aug. 17, and there are about 124,000 eligible voters. The party's leadership process leaves room for multiple mail-in and online ballots this fall. The first ballot results come out Oct. 1. The leader is chosen no later than Oct. 31. Party members had the option of voting either online or via a paper ballot. The selection process is a ranked ballot system but voters are not required to rank all four candidates. However, if the race goes into multiple rounds only ballots that have multiple candidates ranked will influence each successive round. There are three ballot result announcements. The first is being held in Toronto on Oct. 1, while the second and third are slated for Oct. 8 and Oct. 15 in Montreal and Ottawa, respectively. But, if during any round a candidate receives more than 50 per cent of the vote, that person will be named the new leader of the federal NDP. If at the end of the first round no candidate has more than 50 per cent of the vote, the individual with the least support will drop out of the race and members will get a chance to vote again if they wish to change their vote. This will happen until someone gets a simple majority. Background: As a five-term MP in his native Timmins, Ont., Mr. Angus has been a prominent advocate for First Nations. His riding includes the community of Attawapiskat – which has grappled with a housing shortage and suicide crises over the past decade – and he introduced the so-called Shannen's Dream motion, a 2012 campaign for indigenous education named after children's activist Shannen Koostachin of Attawapiskat. He's also the lead singer of the punk-rock group the Grievous Angels. Policy: Mr. Angus plans to dismantle the Indigenous Affairs Department and creating an independent ombudsperson to legally enforce policies to promote Indigenous child welfare. Background: An MP in her native Manitoba since 2008, Ms. Ashton has been a vocal advocate for Indigenous communities and women's issues, and kicked off her campaign the day before International Women's Day. At 26, Ms. Ashton entered the House as the party's youngest MP before the influx of newcomers from 2011's "Orange Crush" election. She was also the youngest person to run in the leadership race following Jack Layton's death in 2011, but only made it to the first ballot. During the 2016 U.S. election, she was an outspoken admirer of the left-wing policies of Bernie Sanders, and she faced some backlash for campaigning on his behalf when he was seeking to be the party's presidential candidate. Policy: Ms. Ashton says the party should embrace its leftist origins, suggesting a "you privatize it, we nationalize it" philosophy. She supports tuition-free postsecondary education and opposes the Kinder Morgan pipeline in British Columbia. Background: Mr. Caron worked as a labour economist and researched forestry issues for the former Communications, Energy and Paperworkers Union of Canada. In the 2000s he ran three times unsuccessfully in the Quebec riding of Rimouski-Neigette–Témiscouata–Les Basques, before being elected in 2011 in the NDP's "Orange Crush" of the province. In the House, he served as the party's energy critic. Policy: Mr. Caron launched his campaign on a promise of a guaranteed basic income. He proposes a carbon tax and investment in high-speed rail, and says an NDP government's first bill would be to change the federal voting system to mixed-member proportional representation. Background: Mr. Singh was a criminal defence lawyer before entering politics in 2011 to run for the Ontario NDP in Bramalea-Gore-Malton. Mr. Singh was the first turban-wearing Sikh to sit in the Ontario legislature. Leader Andrea Horwath announced Mr. Singh as her deputy in April, 2015. 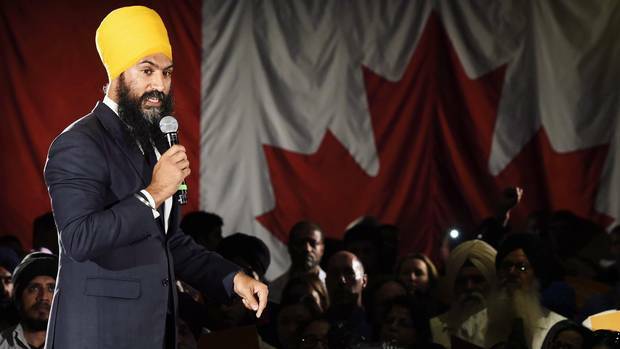 He launched his campaign at a May 15 event at Bombay Palace in Brampton, the same venue where he celebrated with supporters following the 2011 provincial election. Policy: Mr. Singh is advocating for higher corporate taxes, new tax brackets for Canada's top earners, a $15-an-hour minimum wage for workers under federal jurisdiction and the decriminalization of petty drug possession. Why he dropped out: Mr. Julian, a veteran party organizer and long-serving MP from his hometown of New Westminster, B.C., dropped out on July 6, citing "disappointing" fundraising turnout. In September, he endorsed Mr. Singh for the leadership. Why he dropped out: Mr. Stogran, a retired army lieutenant-colonel and Canada's first veterans ombudsman, blamed party insiders who he said don't want to see him win. "The fight to take on politics incorporated while also trying to take on the insiders of a political party that has no desire to see me win has proven insurmountable," Mr. Stogran said in a YouTube video. 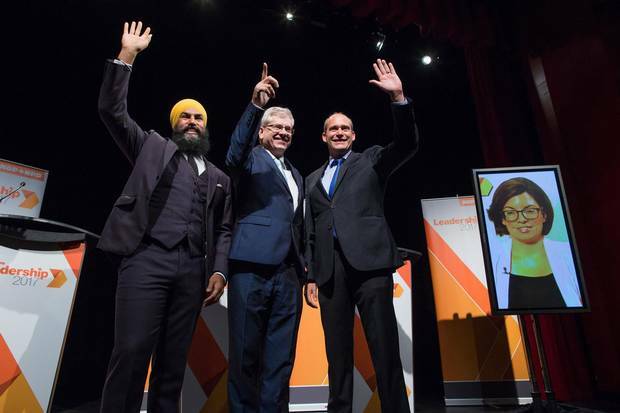 Campbell Clark: Quebec is key for the NDP – the province just doesn’t care Jagmeet Singh is a candidate who could galvanize new Canadians into supporting the NDP, even as he risks alienating more established constituencies. John Ibbitson: Jagmeet Singh could transform NDP from party of labour to party of the suburbs If Jagmeet Singh is on his way to becoming leader, then the NDP could present a very different face to the world and to voters. Immigrant voters. Suburban voters. The voters who decide elections. 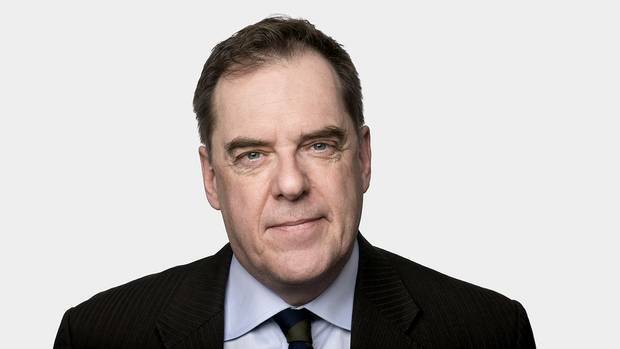 John Ibbitson: Is Guy Caron the right choice for the NDP? Brian Topp thinks so The ultimate NDP insider is endorsing Guy Caron for leader. Will New Democrats care? The answer may depend on which kind of New Democrat you are talking about. 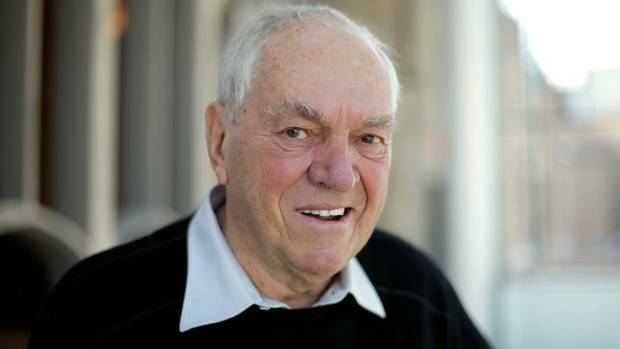 Ed Broadbent: Three ways Canada’s next NDP leader can find success Although former NDP leader Ed Broadbent will be keeping his final decision to himself, he does have a few suggestions.